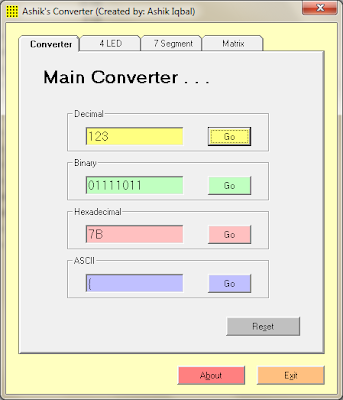 This simple program can convert Decimal, Binary, Hexadecimal, ASCII Codes. 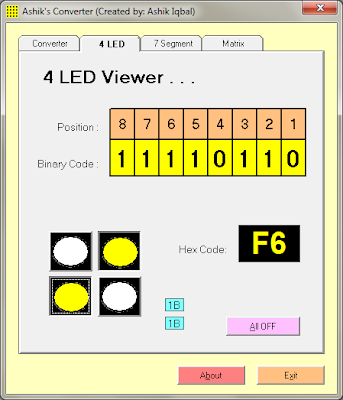 It also gives you 4 LED Codes, 7 Segment Codes and 8x8 Matrix Codes for Intel 8086 Micro Kit Controller. Which is very much helpful for Computer Science & Engineering students in their Peripheral and Interfacing lab classes. 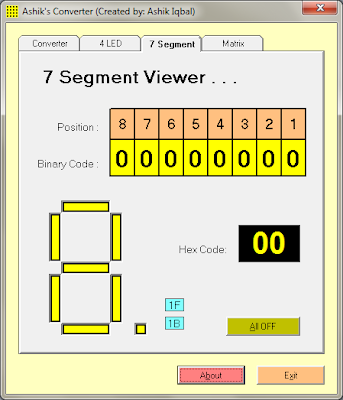 Download it and make your calculation easier. 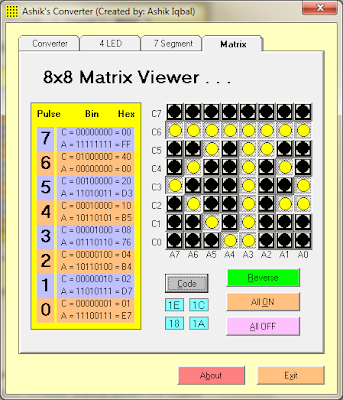 Generate the difficult matrix codes in seconds, save it into a text file. 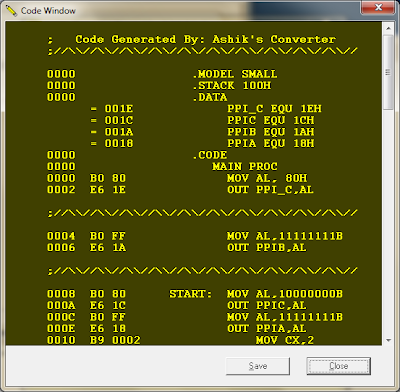 And give the codes to the input of Intel 8086 Micro Kit Controller and get the output.